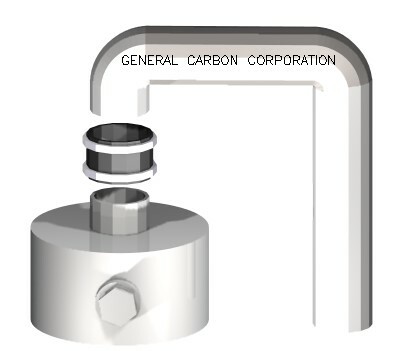 Activated Carbon Filtration | Vent Pure G | General Carbon Corp.
General Carbon’s Vent Pure G is the ultimate design for the simple control of odors in passive vent systems. Each filter contains 10 lbs. of activated carbon to help keep chemical odors from escaping from atmospheric vents, tanks and process equipment. A screwdriver is all that is needed to install the GC Vent Pure-G. The filter comes complete with Neoprene sleeve and hose clamps. To install, simply slide the sleeve over the Vent Pure-G and vent pipe and tighten the hose clamps to keep everything in place. 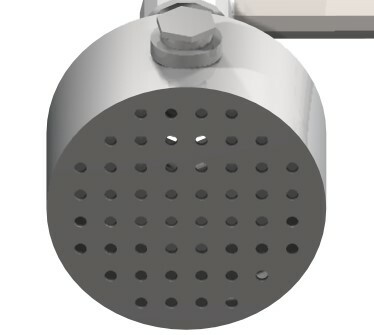 Vent Pure-G can also be provided with a flange. Media replacement is a simple procedure. The 2 inch threaded plug is removed and the spent media is dumped out. The new media is then installed, shaken down to reduce void space and the plug screwed back into place. Vent Pure-G units are made from PVC for chemical resistance. The outlet is screened so inverted mounting is recommended if water or dirt could enter the screen. Standard inlet pipe sizes for Vent Pure-G filters are 4, 6 and 8 inches. Other sizes are available upon request. A handful of specialty medias are available to remove chemicals such as ammonia, hydrogen sulfide, mercury, formaldehyde, chlorine, etc. for optimum chemical control.